The Ray Catena Auto Group considers it an honor to serve their customers. For nearly 60 years, Ray Catena has held steady to a core philosophy of putting the customer first. In turn, he has built a network of 20 dealerships and service centers on this foundation. Mr. Catena’s New Jersey and New York luxury car dealerships represent some of the finest automotive brands on the market today – especially Porsche. 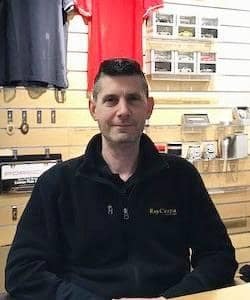 Ray Catena feels that anyone who enters one of his showrooms should experience a level of service and commitment like no other in the industry. 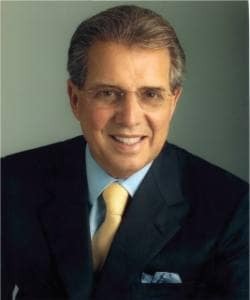 Ray started from humble beginnings in 1961 opening a used car lot in Kearny, NJ and his philosophy of “If you think something is more important than the customer, think again” has never wavered. Mr. Catena believes in treating each customer with the utmost respect by the finest and most professional sales consultants and providing an experience that is both enjoyable and stress-free. 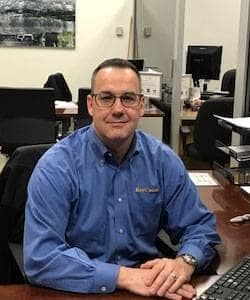 As Ray likes to say, “You take care of your family, your work and your life – we’ll take care of your car.” The end result is that Ray Catena builds one-on-one relationships with customers for generations. Positive recognition from the manufacturer is very important to Mr. Catena as well. Many dealerships are awarded annually for outstanding achievement and prosperity. As one of the largest privately owned auto groups in the country, Ray and his wife, Elsie Catena, work tirelessly year round to give back to their surrounding communities and various charitable foundations. These include Susan G. Komen for the Cure, Autism Speaks, the Meridian Health Affiliated Foundations, The Boomer Esiason Cystic Fibrosis Foundation, The Community Food Banks of Middlesex, Monmouth and Union Counties, Robert Wood Johnson Children’s Hospital, New York-Presbyterian Hospital, The Make-A-Wish Foundation, Ronald McDonald House, St. Jude Children’s Research Hospital, The Valerie Fund, Rutgers Spinal Cord Injury Project, The Seeing Eye, Mary Help of Christians Academy, Monmouth Park Charity Fund, countless philanthropic organizations and local school and recreation programs throughout New Jersey and New York. As Ray Catena Porsche’s General Sales Manager since January 2009, I feel very fortunate to work here. Quite simply, the finest group of cars, colleagues and clients I have ever had the pleasure of being associated with. A husband and a father of two, I spend most of my time with the people I love the most, my family. We enjoy summer and winter sports, hanging by the pool, and experiencing new people, places and things. Not surprisingly road trips top our list. I guess it started for me as a young boy, when shopping with my mom the deal was, if I was good, I could get a toy of my choosing at the five and dime. So right to the Hot Wheels section I would go. Every time. I played with them every way imagineable. I cleaned them, admired them, cruised them, crashed them and raced them. Of course at 17 I got my first real car and repeated much of the same. Then at 19, found myself employed at a local car dealership and recorded my first sale. For the last 30 years, I have enjoyed being a part of the excitement of people getting new cars. Just like when I was in that five and dime. I guess some things are just meant to be. My name is Chris Violante and I have now been with Ray Catena Porsche for the last 5 years. I started with Ray while I was a Junior at Fordham University as a Delivery Consultant and made the move to Sales to become a Certified Brand Ambassador when I graduated a year later. I have been a car enthusiast since I was a little kid, and as much as I love all different types of cars, I believe there is no better brand than Porsche. I was sold when I drove my first Porsche, a 2008 Porsche Boxster that I held onto for over 7 years. I sold it and replaced it with a 2014 911 C2 Coupe, which I used as my daily driver to commute from my hometown in Brooklyn, NY to work every day. Now an owner of a GT4, I use that car as a daily driver as well as a track car! What other cars can you say serve both purposes as good as a Porsche?! Aside from work, I enjoy spending time with my family, playing sports and relaxing with friends. I look forward to my future with Ray Catena, as the organization he runs is by far the best in the business and I invite you to come in and find out why. I’ve been in the automotive business since 2010. I’ve been lucky to have been with Ray Catena Porsche for the past five years and what an amazing and rewarding five years it’s been. As someone who doesn’t fall in love all too often– I’m even impartial to chocolate– it was astounding (or maybe not) just how easy it was for me to fall in love with a brand like Porsche. Being a self-proclaimed adrenaline junkie, Porsche offers me all of the associated feelings without having to feel the physical need to elevate myself 14,000 feet in the air with just a backpack and flight characteristics more suitable to a flying squirrel. Instead, and to my family’s relief, the cockpit of a Porsche feeds that desire directly. As a fan of road trips and hidden scenic treasures, if there is a better way to explore the dusty unknown corners of the world than behind the wheel of a Porsche I have not discovered such yet. I will say my favorite thing about Porsche is the undeniable excitement, joy, and the pure satisfaction that it brings. I challenge you to get behind the wheel without so much as a grin… I have a feeling it’s a bet you won’t mind losing! After over 15 years in the finance industry, I decided to embark on a career change to pursue one of my passions… cars. I knew that in order for this change to be a success, I needed to align myself with the best. I made a leap of faith in 2010 and joined Ray Catena to sell what is undeniably one the most iconic brands in automobile history – Porsche. This is a decision that I would never look back upon. Many of the people that I met along the way started out as just coworkers, managers, and clients. Very soon they became friends. My wish is to continue to build these friendships for years to come. I can not be more proud to tell people that I sell for Ray Catena Porsche. at the age of 15. Years later I’m still under the hood on my weekends at home when I’m not in the garden or enjoying my family’s company. I have worked in sales for most of my life, previously having owned my own retail clothing store. I have since been in the car business for over 10 years. Since joining Ray Catena Porsche I’ve had the pleasure to sit alongside friends and some of the best sport cars on the road. I would like to invite you to come check us out, I look forward to meeting you. My name is John Algarin, originally from Westfield NJ, graduate of Seton Hall University, and Alumni of Sigma Pi Fraternity international. I ended up with Ray Catena Porsche about 4 years ago out of chance and a leap into a new role and I couldn’t be happier. I spend my day talking cars and hanging out with some of the best in the business. I say it all the time, if I wasn’t selling Porsche for Ray, I highly doubt I would have stayed in the car business. The product we have is arguably the best engineered, and in my opinion we are the best auto group on the east coast. We work like a family here and it transcends onto the clientele we work with, due to the environment Ray Catena has built his business on. You deal with one person and one person only. Like he says you take care of your family and your business and we’ll worry about the car. I am proud to say every day that I am a Brand Ambassador for Ray Catena Porsche. I’ve been with Ray Catena for a few years now and what an experience it’s been. I truly believe that I work for the best brand out there! Having the opportunity of being behind the wheel of a Porsche and seeing the Porsche crest on the steering wheel is one of the best feelings in the world! I love our Porsche Team and the great relationship that we all have. We work together with the main goal of providing the best experience for our clients. A big part of the Porsche brand is about forming new relationships and enjoying the excitement that this brand brings! 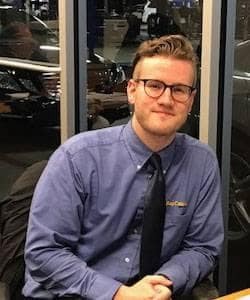 My name is Thomas Caccese and I have been with Ray Catena Porsche since October 2017. Since I was a young boy, I have always been completely infatuated with cars. From dissecting my remote-control toy cars as a young boy to modifying my own personal vehicle as an adult, my passion for these machines has never waned. Born and raised in New York, I grew up amongst a family automotive business and was engrossed at a young age with the mechanics of cars. During my high school and college years, I formed and trademarked my own car club, organizing meets and gaining sponsorship from various companies. We have won numerous trophies over the years competing in car clubs across the country. I graduated from St. John’s University and have been working in the automotive industry ever since. I am proud to say I work for such a reputable brand. 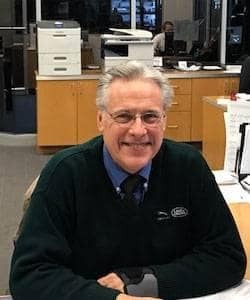 As a Sales Consultant for Ray Catena Porsche, client satisfaction is my first priority and I am fortunate to work with a like-minded group of people. My goal is to develop a strong relationship with all my clients and make them feel not only as a customer but as part of the family. As a sales professional it has been my mission to create the most memorable and satisfying experience that every customer deserves to have. I have dedicated my over 20 year career to knowing my customers’ needs and working hard to meet and exceed their expectations to the point that I make myself available to all my customers 24/7 via phone and email. I have been a car enthusiast all of my life. My first memories of cars was the excitement that my entire family received when the dealership would deliver our new car to our home. Today, it is truly my goal to create that same experience with every potential customer I meet. I’m very fortunate to be with The Ray Catena Group, a luxury automotive organization with a great history of customer satisfaction, as well as with Porsche, the most recognizable and personalized auto maker in the world today. My name is Maurizio Biondo, born in Newark, NJ and raised in Bloomfield, NJ. Both of my parents were born in a small town outside of Palermo, Sicily and I’m fortunate and proud to be a fluent speaking Italian, first generation American. Now lets talk about the good stuff… CARS! From my childhood toy car collection to my current car, it has been obvious from a young age that I have a passion for cars. Currently, I drive a Porsche Cayenne that was passed down to me and parking it for work at the best Porsche dealership in the world is just a dream to me. Aside from my love for cars I am also a big sports fan and enjoy traveling with family to various different locations. I encourage you to come to Ray Catena Porsche and say Ciao! I’ve been an automotive enthusiast my entire life, having been raised in a family where my dad brought home a different car every other week. Some were just to use, others were projects which involved lots of time in the garage learning about cars and how they work. I had the opportunity to work with him to restore numerous classic cars and grew to appreciate having a desirable vehicle looking and functioning as it should. 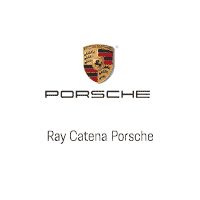 I’ve been with Ray Catena for 2 years and have 25 years of service experience with high-end products such as Porsche. It’s a pleasure to be with a company, coworkers and customers who share my enthusiasm for automotive excellence. I have been in Automotive Service for over 20 years, assisting clients in all aspects of maintaining their vehicle. I have been with Ray Catena Automotive Group specializing in Porsche for over 10 years and I consistently attend continued education about the Porsche product line. I take great pride in meeting the needs of his clients and ensuring that they are satisfied with the outcomes of their vehicle. I reside in New Jersey and enjoy spending all my free time with my wife and two children. I’ve been with the Ray Catena Auto Group for about 19 years. I’m married with 3 daughters and life is good. I enjoy the Porsche brand, spending time with my family, fishing and playing poker. Hello my name is Conor McCabe, I have been an employee for Ray Catena for a little over 4 years. I started off at a Ray Catena Dealership in Union and worked there for 2 years. I then moved over to this location where I have since been made a service advisor. I am a huge car enthusiast mainly with the Porsche product as well as other brands. I plan to further my education with the Porsche product to its fullest potential. 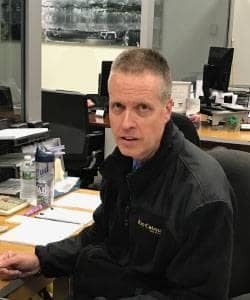 Hello my name is Russell Werner and I am the Parts Manager for Ray Catena Porsche. I am married to a beautiful woman who has blessed me with a great family. I am a car/racing enthusiast and have had the pleasure of visiting race tracks all over the USA from Daytona to Laguna Seca. I have been in the business for more than 35 years now with the last 20 of those here at Ray Catena Porsche. While the business has changed dramatically in those years our philosophy of taking care of our customers has never changed and we look forward to the challenge of helping you keep your Porsche where it should be …on the road! 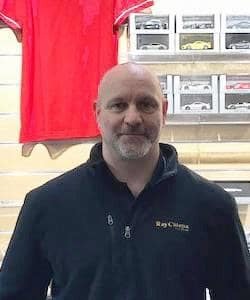 I began working at Ray Catena Porsche in 2001 and I enjoy helping Porsche enthusiasts. I’ve always had a strong interest in automotive history and motorsports.